Staci Perry of VeryPink.com recently shared a tutorial featuring our Beau Felted Wrap kit; this is one of our most popular patterns at nearly every show we attend, and it includes instructions to make both a knitted and crocheted version! Discounted project kits are still available here in our online store - you'll get both versions of the pattern, 7 skeins of yarn (in your choice of natural and hand-dyed Himalayan Trail), BBR project bag, and an Allure sampler pack! We'd love to see your finished Beau & Belle wraps, so be sure to share them with us here on Ravelry! 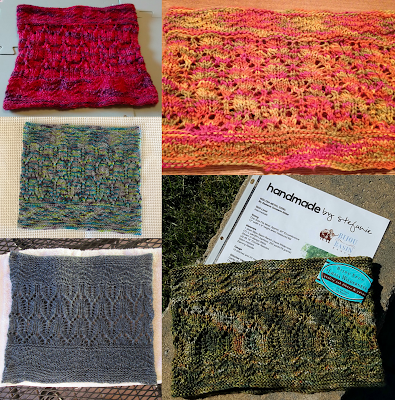 Clockwise from top left: sandy4cats' cowl in Very Berry, clemons3781's cowl in ___, tango42's cowl in Treasure, laurens's cowl in Deep Teal, and sneate's cowl in Coastal Breeze. 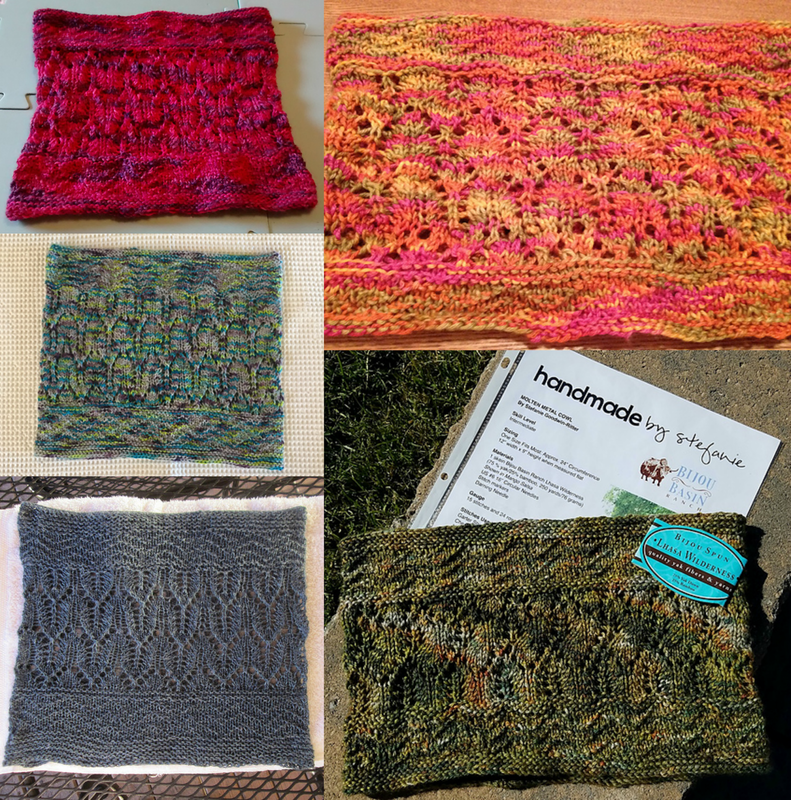 Even though the KAL has ended and the prizes have been awarded, we still have discounted project kits available if you would like to knit one for yourself - it also makes a great gift for the holidays! Click here to choose your color of Lhasa Wilderness yarn from a variety of semi-solid and variegated hand-dyed colors.